The advantages of moving to the cloud are apparent across many industries and in businesses big and small. Cloud-hosting solutions are a major way to trim down costs. The monthly reduction in maintenance and other IT costs will deliver a real return-on-investment in businesses, especially small businesses. Turn your IT hours, back into billable hours. Considering the robust adoption of cloud computing among organizations around the world, how do we realize real business value from these new technologies? Simply stated, cloud computing has the potential to accelerate the economics of your business, offering key business benefits from a capital and operations-related expense perspective. A study by Rackspace found that 88 percent of cloud users pointed to cost savings and 56 percent of respondents agreed that cloud services have helped them boost profits. Additionally, 60 percent of respondents said cloud computing has reduced the need for their IT team to maintain infrastructure, giving them more time to focus on strategy and innovation. And indeed, 62 percent of the companies that have saved money are reinvesting those savings back into the business to increase headcount, boost wages and drive product innovation. A similar study conducted by IBM found that organizations gaining competitive advantage through cloud adoption are reporting almost double the revenue growth and nearly 2.5 times higher gross profit growth than peer companies that are more cautious about cloud computing. 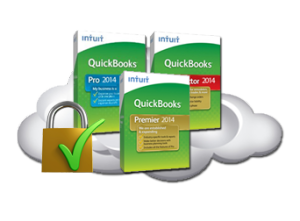 Cloud9’s private and shared hosting QuickBooks Desktop solutions and other cloud solutions garnered more industry awards in 2012-14 than all other Intuit cloud service providers combined, including the Sleeter Awesome App, the K2 Quality Technology Award, the CPA Practice Advisor’s 2012 and 2013 Reader’s Choice Award, and the 2012-13 UP Award as one of the Best Cloud Hosting companies, to name a few.